We are only days away from Super Bowl L 50 and as we are very close to the end of the 2015 NFL season, it is time to hand out some hardware. So without further ado, here are the NFL awards for the season that was for 2015. This is too easy. Sure you may have the jokers who say Newton isn't the MVP because his numbers may not be as eye-popping as those of other quarterbacks, but that completely misses the point. 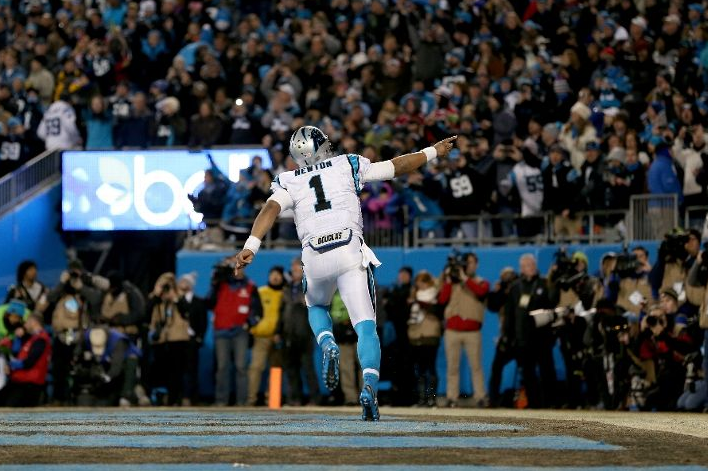 Do the Panthers go 15-1 and get to the Super Bowl without Newton? Do they have the league's highest scoring offense with a pretty mediocre group of playmakers (sans Jonathan Stewart) without Newton? I think that settles it. We can hash out the "shouldn't the MVP be the OPOY" debate another time (and I do always say that) but I've got the star Steelers wideout winning this one here because the numbers he put up this season were insane. 136 catches for 1,834 yards and ten touchdowns with Ben Roethlisberger only playing in 12 games and thus Brown was also catching balls from Mike Vick and Landry Jones. For what it's worth, Brown put up the highest receiving grade Pro Football Focus has seen. Just name the damn award after this cat at this rate because he may never lose this award should he stay healthy. The great Bill Barnwell points out that Watt had 2.5 more sacks than anybody else, he had 13 more quarterback knockdowns than anybody else and led the NFL in tackles for loss on running plays once again. Not to mention that he is doing this from a 3-4 defensive end spot, which is almost like a defensive tackle position. I could very much go with either Gurley or Jameis Winston but I do slightly lean Gurley getting this award even as he didn't play a full season. The Rams basically owe their 7-9 record to Gurley considering that they basically got nothing from the quarterback position and their offensive line was all over the place this season. Keeping it in the Show Me State for the rookie awards but while the offensive award is a toss-up, this one is a cakewalk. Peters plays a position that is traditionally unfavorable to rookies but he was terrific this season for a defense that came alive the last three months of the season. Peters tied for the league lead in picks with eight, the first time since 2009 that a rookie has recorded eight picks or more in a season. Let's just recap: Berry was diagnosed with Hodgkin's lymphoma a little more than a year ago and not only did he recover and return to play for a full season, he also returned to his elite level of play while being a starter in the Pro Bowl. Some have even said that Berry was the top safety in the NFL this year. Again, he was coming back from cancer! Need not say more, right? Did anybody truly expect the Panthers to start their season 14-0 and finish it at 15-1 en route to their first Super Bowl in over a decade? I don't even think the Carolina faithful expected that either. The Panthers had a terrific defense all season along and had the highest scoring offense in the league as well. And let's be frank, it is not the most loaded roster in the NFL and yet they have had a spectacular season. So Rivera earns his credit.